Tunworth is our own, very British, Camembert – a soft, white-rinded cheese wonderfully reminiscent of its French cousin. Tunworth is made markedly different thanks to the rounded green hills and lush grazing of its rural Hampshire terroir. Despite being refined and perfected over the years Tunworth is still made entirely by hand – from the first ladle of pasteurised whole cow’s milk to the waxed paper wrap and poplar box packaging. The finished 250g cheese has a soft, thin and wrinkled rind, a rich and earthy mushroom fragrance, and a long-lasting sweet and nutty flavour. Winslade is the newest arrival in the Hampshire Cheese stable, developed over the last two years as a sibling cheese for Tunworth. This Vacherin/Camembert cross is encircled in a spruce collar which gives Winslade a unique and distinctive pine note. Matured in the same way as traditional Camembert, Winslade has an unusual pinkish hue and a dappled rind. 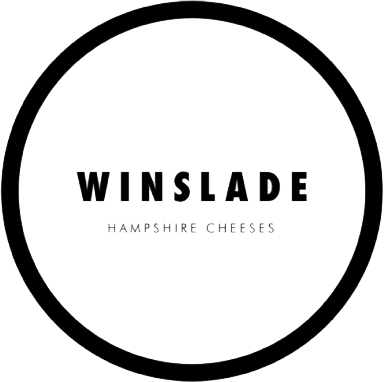 A ripe Winslade is soft and unctuous with a quiet floral earthiness. More mild than Tunworth, yet superbly rich and gentle on the palate, this is a very popular choice on a British cheeseboard.